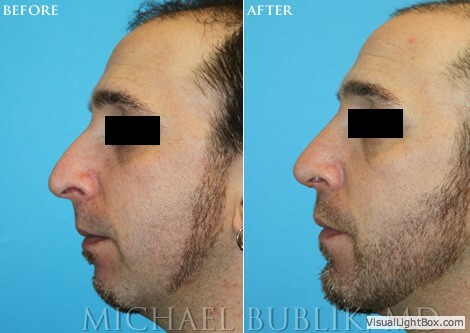 Dr. Michael Bublik, a double board certified physician in Facial Plastic Surgery and Ear, Nose, Throat Surgery, was not surprised by the statistics released in 2012 by the American Society of Plastic Surgeons (ASPS) showing that chin augmentation is the fastest growing plastic surgery trend among all major demographics. Over the last few years, the procedure climbed sharply in both women and men, as well as in all patients over the age of 20, with the largest increase seen in patients age 40 or older. 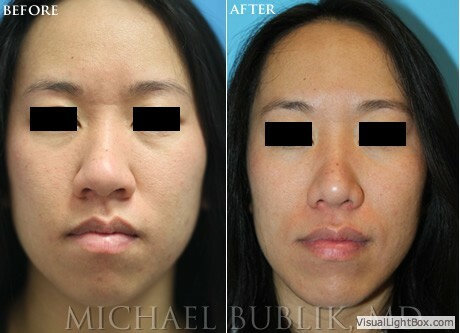 Based on the many patients that Dr. Bublik sees at his busy practice in Glendale and Los Angeles, the phenomenon appears to be part of the general look good/feel good outlook of today’s society, and the increased usage of video chat technology, an aging baby boomer population and the competitive job market. Patients no longer feel it’s necessary to live with a chin that doesn’t match their personality and other facial features, while in some cases chin surgery is required due to birth defects or trauma. 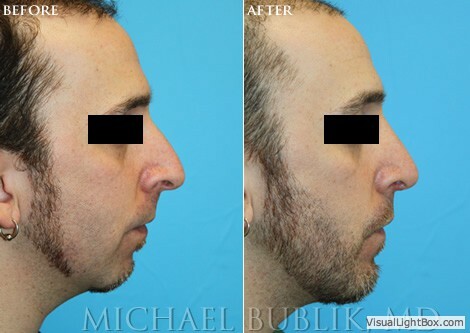 Dr. Bublik explains that his male patients want a strong, masculine chin, while his female patients look for a more defined yet feminine chin; sometimes patients need chin augmentation, and sometimes chin reduction will create the desired effect. In his practice, chin augmentation is often combined with liposuction of the neck, nose surgery (Rhinoplasty), a neck lift or laser skin resurfacing for better results. 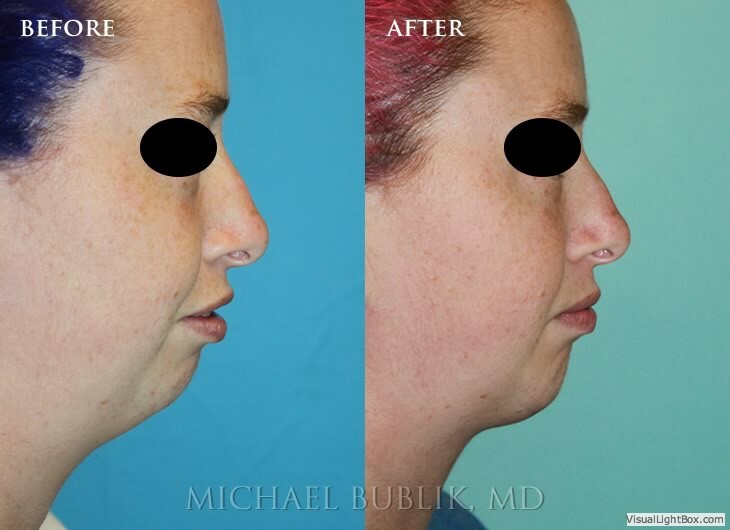 Dr. Bublik explains that chin surgery can be effective for patients with a weak or receding chin, and for patients with a very prominent chin. A chin that seems too small in proportion to other facial features makes the nose appear overly long or prominent, or tends to give men an effeminate or weak appearance. Chins that seems too large or strong can make women feel less feminine, and can overpower a patient’s otherwise delicate facial features. 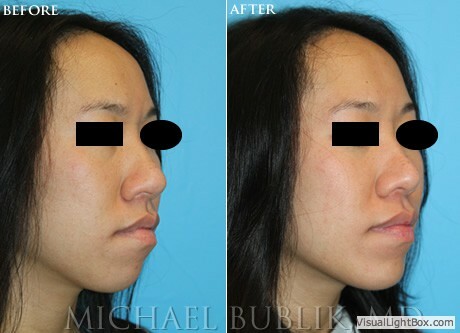 The surgery can enhance facial symmetry by increasing or decreasing the size and projection of the patient’s chin. 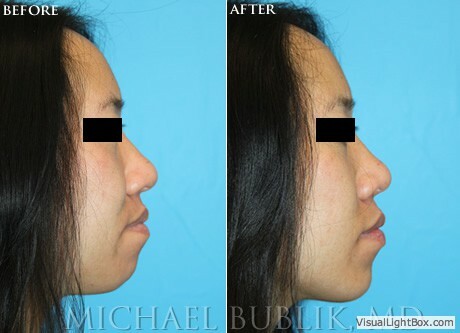 Dr. Bublik reshapes the chin either by using chin implants, or by repositioning the bone supporting the chin. Dr. Bublik takes the time to understand his patients’ expectations and desired outcome. Every patient is different, and Dr. Bublik will choose the surgical technique and treatment plan that is right for each specific patient. Concerns about pain often come up during consultation and Dr. Bublik reassures his patients that they will remain comfortable throughout the entire procedure. In most cases, general anesthetic is used so that the patient will sleep throughout the procedure; although local anesthesia with intravenous sedation is also an option for some patients. After surgery, Dr. Bublik explains, there will be some discomfort and the patient may experience a feeling of tightness, tenderness or stretching around the jaw area. Patients will also notice some swelling and bruising. Patients need less then a week of rest before they return to normal activities such as work or school, and Dr. Bublik reassures his patients that at this point, much of the swelling and bruising will have disappeared. 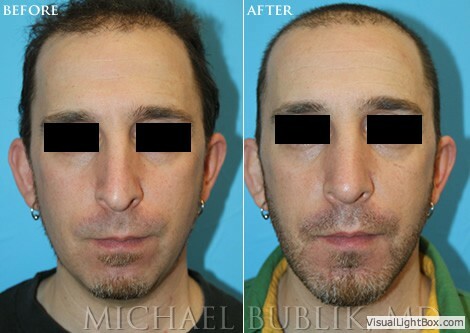 Dr. Bublik explains that many of his patients decide to have chin surgery before a major event or as a consequence of some major change in their lives such as starting a new job, attending a class reunion or going back to the dating scene after a divorce. 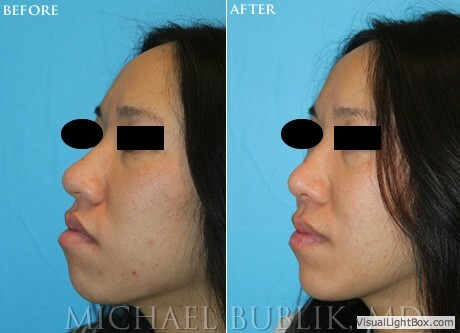 Planning in advance is important, so now is the time for you to call Dr. Bublik to schedule a free consultation and find out how chin surgery can make a difference in your self-confidence, attractiveness and well-being.